What’s the Cause of Window Condensation? It’s a hot summer day after a rain storm. You go to look out your window and notice that it’s very difficult to see through the glass. You try to wipe away the fog to get a better view, and you realize that it’s trapped inside the panes. You even notice that there are water droplets inside the glass as well. What you’re experiencing is known as window condensation. 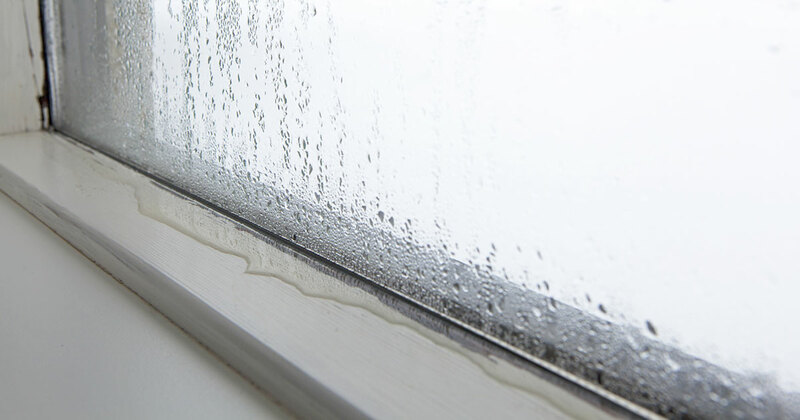 Condensation is normal on some level, but you should never find it inside the glass of your window panes. Exterior condensation is a result of humidity and warm air meeting cool, dry air. Homeowners in many climates will experience exterior condensation on the outside of their windows during humid days, after rainstorms, and even during the winter from frost meeting warm glass. 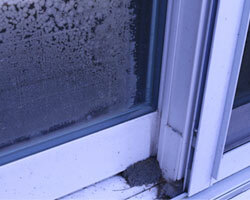 Are Your Windows the Cause of Condensation? Extreme temperature differences are the cause of condensation. Modern energy efficient windows are designed to keep cold air outdoors. Weather stripping, insulation, and seals help create barriers to eliminate condensation inside of your home as well as inside of the glass panes. Why is There Condensation Between Your Window Panes? If you’re noticing condensation between the glass panes, the reason for this is most likely due to a failed seal. When the seal in your window fails, it will allow fresh air and vapor inside of the panes, which results in condensation. If condensation has made its way into the glass panes, this is also a sign that there is no longer argon or krypton gas inside of the glass. A failed seal will also allow any energy saving gases to escape out of the glass, which eliminates the energy saving benefits of the window. What Can Be Done About Window Condensation? If your window is still under warranty and you’re experiencing condensation between the glass panes, the manufacturer may replace the glass. This will likely be the easiest option for you, although you may be responsible for labor costs. If your window is no longer under warranty, you’ll have a decision to make. You may decide to contact a company to have the glass replaced and continue using the original frame. However, if your windows are old and outdated, replacement may be the best option. This will ensure that your new windows not only have an airtight seal, but they also include energy saving gases argon and krypton—which maximizes the thermal efficiency of your home. If you’re on the fence on repair or replacement, Universal Windows Direct can inspect your current window and help you determine which option is right for you.